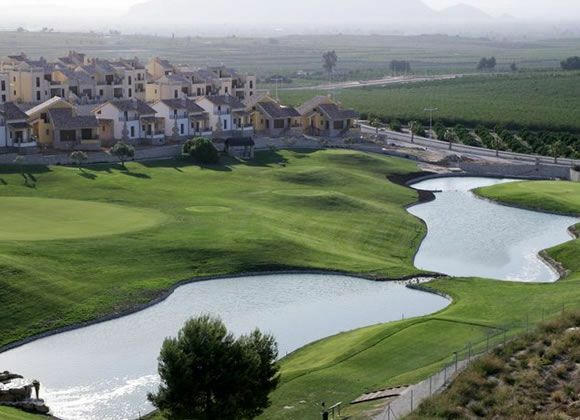 The La Finca golf club lies in natural surroundings of great beauty and with fantastic views. 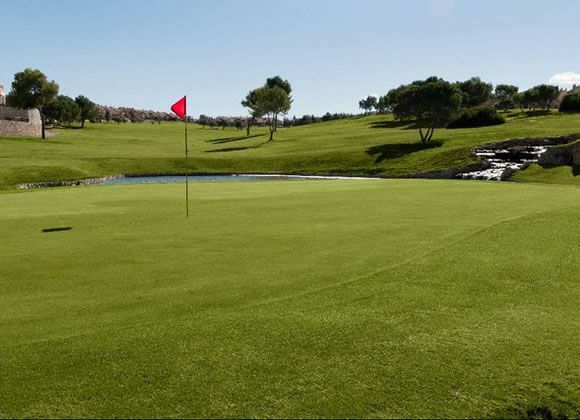 Its facilities are open to those people who want to play golf in the heart of nature while being able to enjoy the beaches, sailing clubs and a host of other facilities and services just a few minutes away.It is the newest course in the province of Alicante and was opened in 2002. 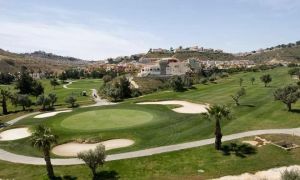 La Finca golf course is situated at the foot of Mount Escotera, in the municipality of Algorfa, right in the heart of the Segura region. 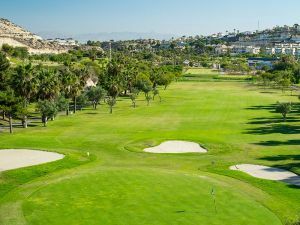 Designed to host top tournaments, La Finca golf course has the greatest variety of greens of any course on the Costa Blanca, ranging in size from very large to very small. In addition, the course has a reserve hole so that, in the event that one of the holes has to be closed off unexpectedly, players are still able to complete a full 18-hole round. 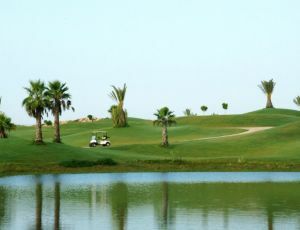 Several lakes with running water and reed beds along the course add beauty and difficulty to the game, and have made the course the home of a wide variety of migratory water birds, such as ducks and egrets, while the interior of the course is home to olive and palm trees, thus creating a beautiful backdrop of vegetation with a distinctly Mediterranean flavour. 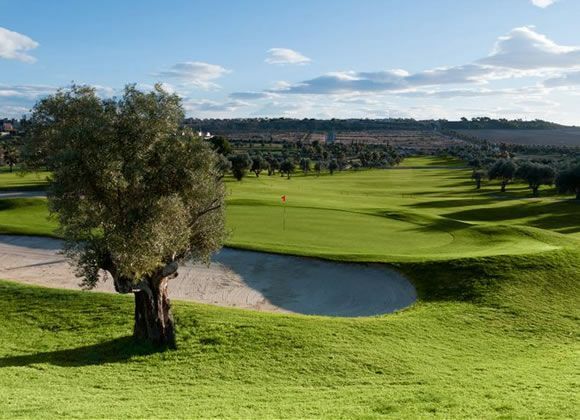 LA FINCA GOLF COURSE is one of three courses owned by the QUARA Group, situated in the region of Alicante on the Costa Blanca in Spain, and can be found near the small town of Algorfa in the Vega Baja Del Segura. La Finca is still a young course, but has been maturing rapidly since being opened for business in August 2002. Since then La Finca has become one of the best courses on the Costa Blanca and continues to demonstrate its ever increasing potential. 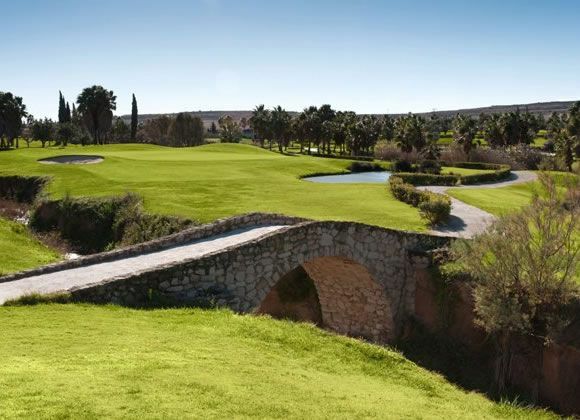 The course was designed by the famous Spanish designer, Pepe Gancedo, and is made up of 19 holes (18 + 1). 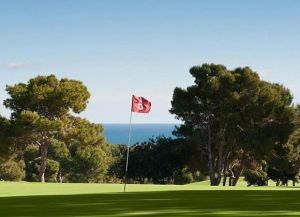 The course has generous fairways with spectacular greens, in both variety and design features. A prime example is the 7th Hole with its totally square “bowling” style green, guarded by a symmetrical “L” shaped bunker. This hole provides an impressive end to La Finca´s “Amen Corner”, where holes 5 and 6 are flanked by their vast water hazards surrounding both greens and running down the left side of the two holes, with five beautifully constructed waterfalls cascading their way down to link five lakes, all adding to this difficult corner of the golf course and giving spectacular views on the eye. Tee Time Reservations must be cancelled no later than 72 hours (3 days) prior to day of play. If reservation is not cancelled by this time, the credit card holder will be responsible for the full greens fees with the credit card being automatically charged. POLÍTICA DE CANCELACIONES: Las reserves podrán ser canceladas sin penalidad 72 horas (3 días) antes de la reserva del día. En cancelaciones posteriores, el titular de la tarjeta de crédito empleada para la reserva, se hará responsable del importe total de la reserva. Dicho importe será cargado en la tarjeta de crédito. 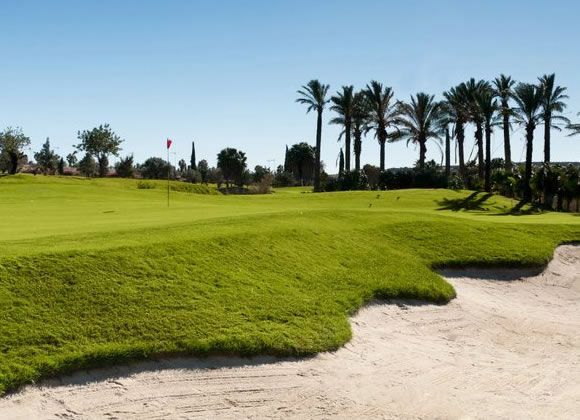 La Finca Golf is about 30 minutes drive from Alicante airport and about 30 minute drive from Murcia airport. Exit 743 off the A 37 Motorway. Golf La Finca has different Services to offer. Choose a date and number or players to see the rates.